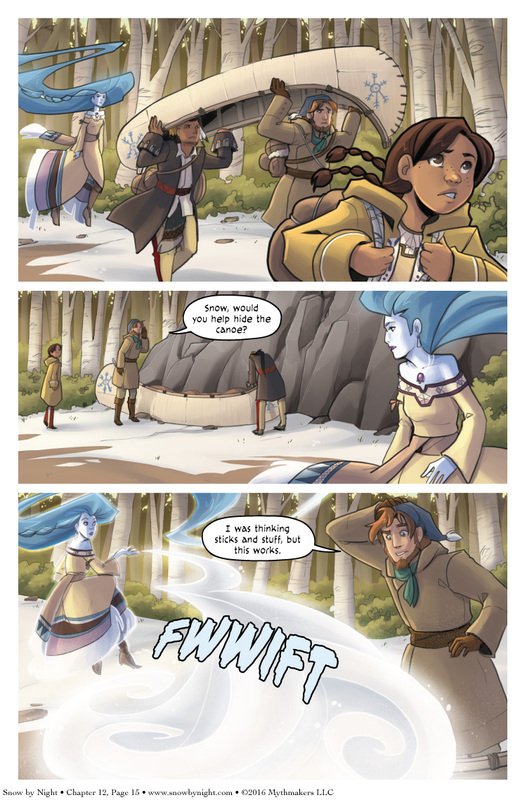 Into the woods to hide a canoe on Chapter 13 Page 15. Normally this takes longer, but when you have a manitou, things can go faster. Check out Defiant Elk’s expensive tool when you vote for Snow by Night on Top Web Comics. Monday is the 4th of July. No page update on Monday. We’ll be back on Wednesday. Hopefully just as easy to get out again. The weight of it and the melt might compromise the boat otherwise.